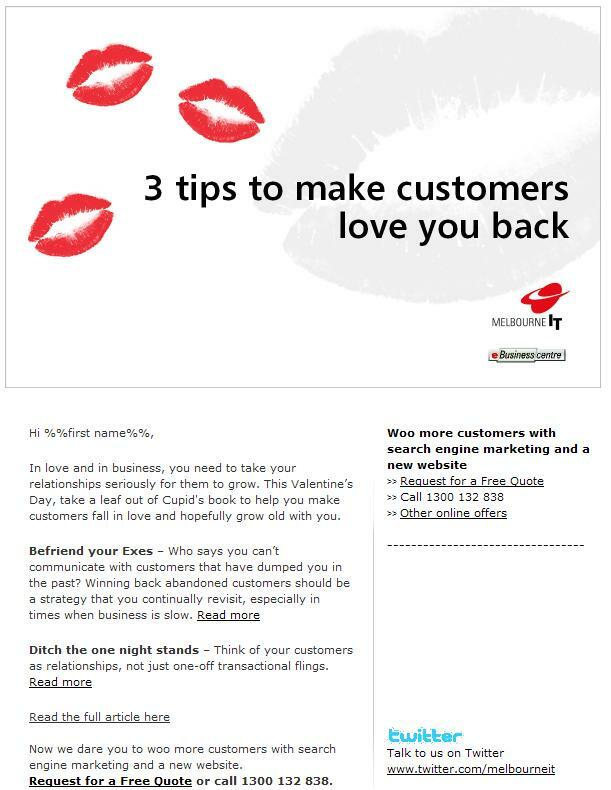 Who says all Valentine’s Day marketing has to be excessively lovey dovey and boring? Find out how Creative Director Alvin Chia took a Valentine’s Day marketing campaign, removed the cheese (and cringe) factor and put back the tease to tickle the fancy of those in the game of love. When is it OK to judge a book by its cover? Thanks for the comments, the whole strategy for this Valentine’s campaign was to use the analogy of dating to apply to business practices. Many times, businesses in dealing with their customers don’t put their heart (pun totally intended here) into it. Because a lot of the rules that apply in relationships also apply in business. And it was a good opportunity to prove that a Valentine’s Day themed campaign didn’t have to be mushy. As Valentine’s Day approaches, maybe it’s a good time to think about your own relationships to see if any of the lessons you have learnt, also apply to the way you go about your work, treating your colleagues, customers and dealing with your suppliers.